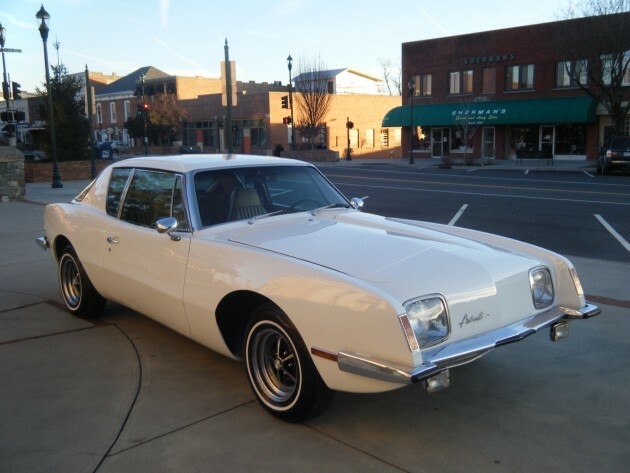 Hello and Thank You for visiting our latest listing of another Classic Car Restoration of an Avanti by The Motor Masters! This is a Consignment that we restored for one of our Customers. Up for sale is a 1983 Avanti II with 78,961 ORIGINAL MILES. This Classic comes with a Rare Interior Color Combo of White and Tan. Has a GM 350 Engine with an Edelbrock Intake and Edelbrock 4BBL Carburetor. Has an Acel Electronic Ignition. Also has a Heavy Duty Radiator with Electric Fan. Power Steering, Power Brakes, Power Windows, Power Door Locks, Automatic Transmission, Full Instrumentation ( All Gauges Work), AM/FM Cassette Radio with Power Antenna, Power Sunroof. Cooper Radial Tires…90% Tread On Them. American Racing Chrome Wheels. RESTORATION: IMMACULATE New Paint Job (3 Coats of Base and 3 Coats Clear), New Hood Insulation, New Spark Plugs, New Oil & Filter, New Master Cylinder( Brake Lines were also drained prior to this being installed), New Battery, New Wires while others were cleaned, New Vacuum Lines. Chrome and Stainless Steel is 9.5 out of 10. Front End has been completely Greased. Transmission was Service prior to being Restored. Exhaust System is almost Brand New. Hog Troughs are PERFECT! Entire Car has been Detailed Inside, Outside, Underneath, and also the Engine. BUY WITH CONFIDENCE!! I HAVE A 100% POSITIVE FEEDBACK RATING FROM ALL MY CUSTOMERS!! BE SURE TO CHECK OUT MY OTHER ITEMS FOR SALE! !